Allegedly there is a CIA agent called Jennifer Matthews who is the main inspiration for both Maya, the protagonist of Zero Dark Thirty and Carrie Mathison in Homeland. Even without this fact the parallels between the two characters are obvious and I am not sure the inevitable comparison serves Homeland very well. It really depends on how you like your stories about young female CIA officers on an obsessive mission to catch terrorist kingpins but either way Zero Dark Thirty makes Homeland look like Miss Congeniality. The business of catching terrorists depicted here is nasty and grubby and there are no punch the air moments when they finally catch the bad guys. The subject matter is dealt with very seriously and the film is clearly much better for it. 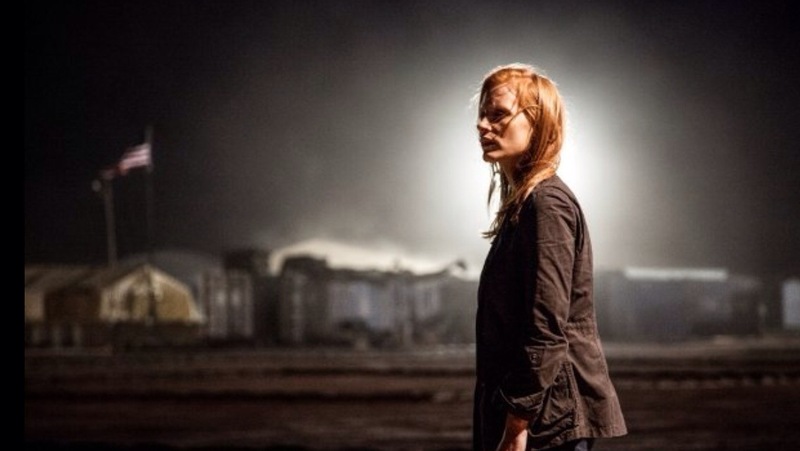 The supposed controversy surrounding Zero Dark Thirty is about how it glorifies, or at least justifies the use of torture. To say this film glorifies torture is as ridiculous as when politicians claimed that Trainspotting glorified drug taking. It happens, it is part of the story but its not nice. You might as well suggest that We Need to Talk About Kevin glorifies bad parenting. With regard to whether it justifies torture, that is left up to the audience to decide and once again this is a significant area in which Zero Dark Thirty gets it right. Kathryn Bigelow and screenwriter Mark Boal last worked together to great artistic, critical and awards, if not equivalent commercial, success on The Hurt Locker and you might expect this to be a similar film but it certainly isn’t as entertaining as The Hurt Locker and doesn’t have anything approaching the tension of that film. The main characters here are generally not in harm’s way as much although they are in danger as is suddenly and dramatically very apparent on a few occasions. It is a very talky film and for me it was a little too long but the whole point is to portray realistically the events that led up to the mission to capture Osama bin Laden and once again it does this well. When, after two hours, we finally get to the mission it is gripping and serves as a strong end to the film. Although it is not quite the end because in the final scene it once again down plays everything and once again I thought this worked to good effect. There are a couple of casting choices that may prove distracting for UK television viewers. It depends how comfortable you are with Lizzie Bennett chasing down terrorists or Captain Jack Harkness reigning in the flamboyance to offer significant support for the final attack. Generally the performances are understated and effective and the characters feelings about what they are doing are nicely unclear. Essentially this is a docudrama but for it to properly fit in that category it needs to be true. Clearly we will never know if this is the case but it seems to agree with the few accounts of what happened that are out there. (I’m obviously no expert but I can Google.) True or not it seems realistic and although it is only telling one side of events, it does so in a pretty straight and apparently unbiased way. Clearly not. It is a 15 but although the torture and warfare scenes are distressing they are not overly violent. As with everything about Zero Dark Thirty, things are done in a way that is just right to tell this story. Tagged homeland, Kathryn bigelow, out now to rent, who is carrie mathison?, Zero Dark ThirtyBookmark the permalink.